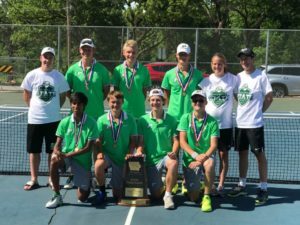 Pella finished third at the class 1-A boys state tennis tournament yesterday in Des Moines. 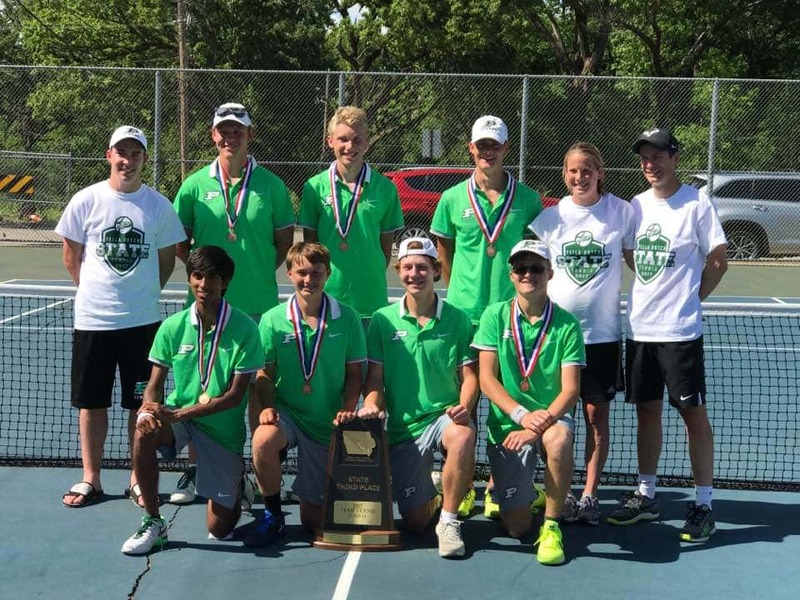 Making the final four for the first time since 1999, the Little Dutch were knocked off by Cedar Rapids Xavier in the semifinals yesterday morning, 5-2. They then came back in the afternoon to beat Kuemper Catholic of Carroll, 5-4. That victory over the Knights was the first official victory at the state tournament in school history. Pella shared a team with Pella Christian in 1993, when they also finished third place after winning in the consolation match.